Europhyiscs Letters 96 (2011) 59001. We characterize galaxy correlations in the Sloan Digital Sky Survey by measuring several moments of galaxy counts in spheres. We firstly find that the average counts grows as a power-law function of the distance with an exponent D= 2.1+- 0.05 for r in [0.5,20] Mpc/h and D = 2.8+-0.05 for r in [30,150] Mpc/h. In order to estimate the systematic errors in these measurements we consider the counts variance finding that it shows systematic finite size effects which depend on the samples sizes. We clarify, by making specific tests, that these are due to galaxy long-range correlations extending up to the largest scales of the sample. 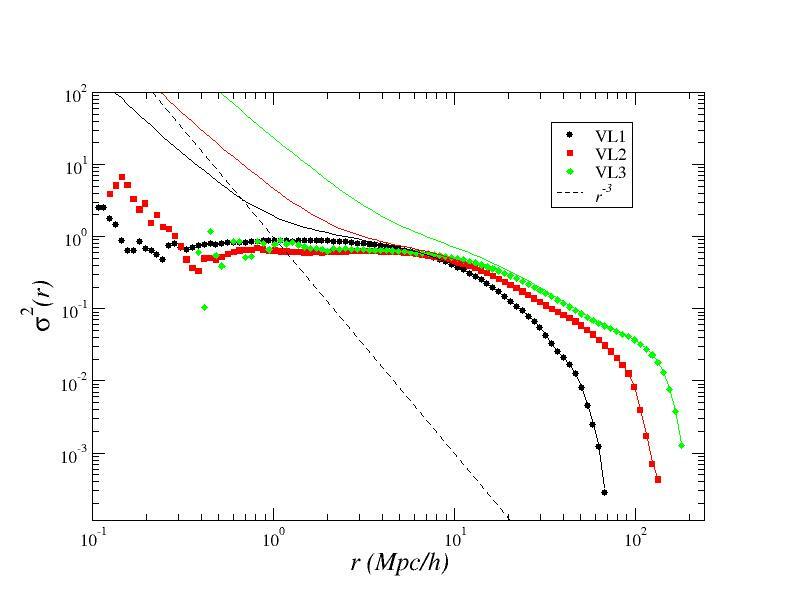 The analysis of mock galaxy catalogs, generated from cosmological N-body simulations of the standard LCDM model, shows that for r<20 Mpc/h the counts exponent is D~2.0, weakly dependent on galaxy luminosity, while D=3 at larger scales. In addition, contrary to the case of the observed galaxy samples, no systematic finite size effects in the counts variance are found at large scales, a result that agrees with the absence of large scale, r~100 Mpc/h, correlations in the mock catalogs. We thus conclude that the observed galaxy distribution is characterized by correlations, fluctuations and hence structures, which are larger, both in amplitude and in spatial extension, than those predicted by the standard model LCDM of galaxy formation.